Take a spooky stroll through the French Quarter on this haunted, 2-hour walking tour in New Orleans. 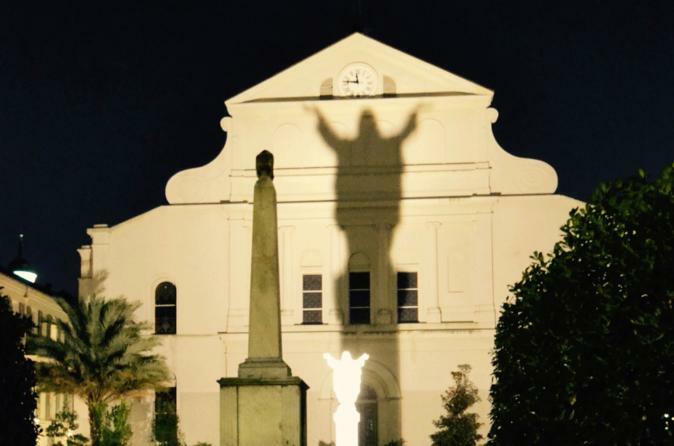 Venture into the realm of the unknown by touring 'America's most haunted city.' See haunted sites like the LaLaurie Mansion and the Bourbon Orleans Hotel, while listening to fascinating tales of local spirits like the Ghost of Pirates Alley, Pere Dagobert, or General PGT Beauregard. It’s a fascinating, spine-tingling adventure. Experience the French Quarter after dark through the enthralling storytelling of the city's most informed raconteurs. Based in fact, all tales are accurately conveyed, providing a superb history lesson which transitions into some of the most chilling narratives ever told. As frightening as it is enticing, this tour visits the sites of some of the city's most legendary hauntings, like the Ghost in Pirates Alley, the LaLaurie Mansion, the Witch of the French Opera, the Ghost of the Quadroon Mistress, Pere Dagobert of the St. Louis Cathedral, the specter of General PGT Beauregard, the Phantom of the Orleans Hotel, and Spirits of the Mississippi River.